Roy Wilson, Jr. 84, of Carrollton, KY, died on Wednesday, January 30, 2019 at the Signature Healthcare of Carrollton. He was born in Ashland, Boyd County, KY, the son of the late Roy G. Wilson and Bertha Miller Wilson. 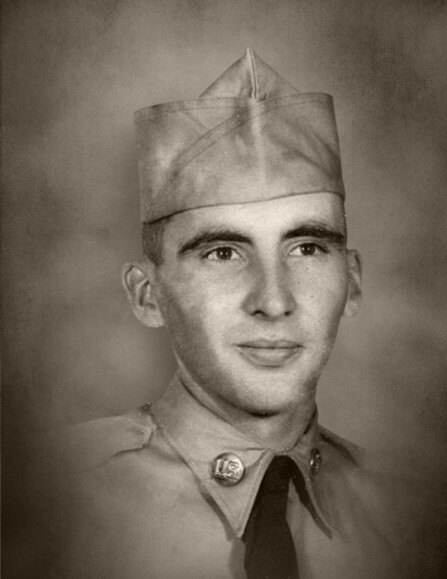 He was a graduate of Boyd County High School and went on to join the United States Army, serving his country honorably as a Medical Specialist. His services to our Country earned him the National Defense Service Medal. After his service in the Army he went on to work for the Dravo Corp. where he worked in the construction of Dams. After his retirement he then went to work for the Carrollton Housing Authority working in the maintenance department. He was a member of the Carrollton Wesleyan Church. In his younger years he loved to fish and hunt. He was known for raising a healthy garden for his family and friends and always having plenty to share. He loved raising and caring for the neighborhood cats and making sure they were taken care of. Many of his days were spent building things being the fine carpenter that he was, he had a natural talent for seeing how things could be built. He is survived by his daughter, Sue (Charles) Hoehn of San Jose, CA, his son, Doug (Laurinda) Wilson of Marietta, GA, two sisters, Frances Rayburn of Ashland, KY, and Helen (Wilburne) Boyles of Raceland, KY, his sister in-law, Joan Toliver of Carrollton, KY, his cousin who cared for him, Rick Gayle of Carrollton, KY, and three grandchildren. He was preceded in death by his parents and his wife, Della Wilson on January 15, 2009, three sister in-laws, Kathryn Plew, Eva Ingram and Jean Hackney, four brother in-laws, Robert Baxter, Jesse Baxter, Jr., James Fred Baxter and Vernon Baxter.